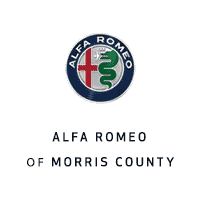 Vulcano Black Metallic 2018 Alfa Romeo Giulia AWD CLEAN CAR FAX, UNDER 10,000 MILES, ROADSIDE ASSUSTANCE INCLUDED, WARRANTY INCLUDED, AWD ALL WHEEL DRIVE. Awards: * 2018 Motor Trend CAR OF THE YEAR! 2018 Maserati Ghibli S Q4 AWD ZF 8-Speed Automatic 3.0L V6 CLEAN CAR FAX, UNDER 10,000 MILES, ROADSIDE ASSUSTANCE INCLUDED, WARRANTY INCLUDED, Wheels: 19" PROTEO SPORT RIMS. Bianco 2018 Maserati Ghibli S Q4 AWD ZF 8-Speed Automatic 3.0L V6, UNDER 10,000 MILES, ROADSIDE ASSISTANCE INCLUDED, WARRANTY INCLUDED, AWD ALL WHEEL DRIVE, NAVIGATION, High Gloss Carbon Fiber Trim, Wheels: 20" Urano Machined Polished Alloy. Blue 2018 Maserati Levante AWD ZF 8-Speed Automatic 3.0L V6 CLEAN CAR FAX, UNDER 10,000 MILES, ROADSIDE ASSUSTANCE INCLUDED, WARRANTY INCLUDED, AWD ALL WHEEL DRIVE, NAVIGATION, Front & Rear Parking Sensors, Key Fob w/Remote Start Function, Open Pore Radica Wood Trim, Premium Package. ***SPRING SALES EVENT PRICING*** New Price! CARFAX One-Owner. Clean CARFAX. Black Sapphire 2018 BMW 7 Series 750i xDrive AWD 8-Speed Automatic 4.4L V8 32V Twin Turbocharged Odometer is 1979 miles below market average! AWD, Black w/Nappa Leather Upholstery, 7" Touch Command Tablet, Luxury Rear Seating Package, M Sport Package (337), Navigation System, Rear Comfort Seats, Rear Massaging Seats, Rear Ventilated Seats. TIBBFX *Prices shown do not include taxes, DMV fees, or documentation charge of $699. Internet pricing is ONLY valid when financing through our dealership. We make every effort to verify the information listed is accurate, however mistakes can occur. BMW of Springfield is not responsible for errors or omissions. The vehicle color, equipment and any other content of the window-sticker for a vehicle shall supersede any information contained on this site. The untimely deletion of a vehicle from the site due to sale, an unintended misprint, inaccurate data entry of information or a typographical error shall not give rise to any liability whatsoever to any party. Contact with the dealership is suggested to confirm the content accuracy of the information pertaining to any vehicle. Internet specials require dealer financing. ***SPRING SALES EVENT PRICING*** CARFAX One-Owner. Clean CARFAX. Black Sapphire 2018 BMW 7 Series 750i xDrive AWD 8-Speed Automatic 4.4L V8 32V Twin Turbocharged Odometer is 2720 miles below market average! AWD, Black w/Nappa Leather Upholstery, 7" Touch Command Tablet, Luxury Rear Seating Package, M Sport Package (337), Navigation System, Rear Comfort Seats, Rear Massaging Seats, Rear Ventilated Seats. TIBBFX *Prices shown do not include taxes, DMV fees, or documentation charge of $699. Internet pricing is ONLY valid when financing through our dealership. We make every effort to verify the information listed is accurate, however mistakes can occur. BMW of Springfield is not responsible for errors or omissions. The vehicle color, equipment and any other content of the window-sticker for a vehicle shall supersede any information contained on this site. The untimely deletion of a vehicle from the site due to sale, an unintended misprint, inaccurate data entry of information or a typographical error shall not give rise to any liability whatsoever to any party. Contact with the dealership is suggested to confirm the content accuracy of the information pertaining to any vehicle. Internet specials require dealer financing. ***SPRING SALES EVENT PRICING*** CARFAX One-Owner. Clean CARFAX. Marina Bay Blue Metallic 2018 BMW M5 AWD 8-Speed Automatic V8 TIBBFX Aragon Brown w/Full Merino Leather Upholstery, 4-Zone Automatic Climate Control, Active Driving Assistant Plus, Active Park Distance Control, Driving Assistance Plus Package, Executive Package, Front & Rear Heated Seats, Front Massaging Seats, Front Ventilated Seats, Navigation System, Parking Assistant Plus, Power Rear Sunshade, Rear-View Camera, Soft-Close Automatic Doors, Surround View w/3D View, WiFi Hotspot, Wireless Charging. *Prices shown do not include taxes, DMV fees, or documentation charge of $699. Internet pricing is ONLY valid when financing through our dealership. We make every effort to verify the information listed is accurate, however mistakes can occur. BMW of Springfield is not responsible for errors or omissions. The vehicle color, equipment and any other content of the window-sticker for a vehicle shall supersede any information contained on this site. The untimely deletion of a vehicle from the site due to sale, an unintended misprint, inaccurate data entry of information or a typographical error shall not give rise to any liability whatsoever to any party. Contact with the dealership is suggested to confirm the content accuracy of the information pertaining to any vehicle. Internet specials require dealer financing.